1. 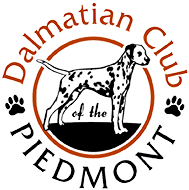 Have you owned a Dalmatian before? 2. Have you owned or cared for dogs in the past? A specific breed, or a mixed breed? 3. What interests you about Dalmatians? Why do you think a Dalmatian would be a good choice for you and your family? 4. What pets do you currently have in your home? 5. What is your average day like? 6. Do you have children? If so, what are their ages? 7. Where will your puppy sleep at night? 8. Do you have a fenced yard? 9. How do you plan to exercise your Dalmatian? 10. Who will be the primary caregiver? 11. Are you familiar with puppy kindergarten? 12. Does anyone in your household have allergies? 13. Will you be willing to spay or neuter your puppy at the appropriate age? 14. Besides being a lifetime companion, do you hope to pursue any canine activities? 15. If so, is it Conformation, Obedience, Agility, Therapy Work, or something else? 16. Would you be agreeable to a home visit? 17. Have you ever had to make the decision to euthanize a pet? If so, why?